The streaming music service continues its push beyond the basic playlist. 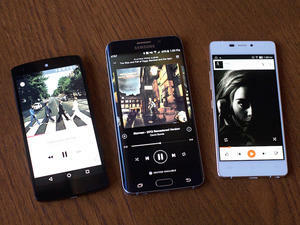 Which streaming music service is best for your Android phone? Spotify is hoping to set the soundtrack for your next gathering with a new Party mode. The streaming music service already offers dozens of ready-made party playlists, but Party mode goes a step further. Start by choosing a mix, such as “Crowd Pleasers” or “Hip Hop Takeover,” and as the music plays, a slider lets you choose from three “mood” or energy levels. 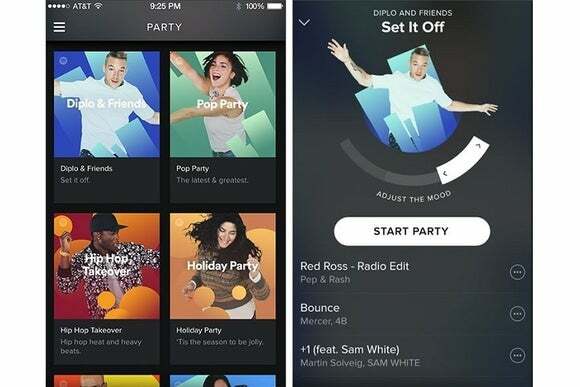 Party mode is rolling out now to Spotify’s iOS and Android apps, TechCrunch reports. 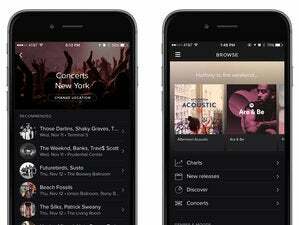 It’s unclear if the feature will make its way to Spotify’s web and desktop versions. Why this matters: With every on-demand streaming music service charging the same price for paid subscriptions, and offering similar catalogs (with some notable exceptions), differentiation is difficult. Spotify’s main advantage continues to be its free offering, but interactive features like Running and Party are a way to make its paid service stand out as well.